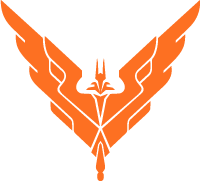 The Outpost #66, your weekly summary in Elite: Dangerous. 2.3 Commanders, Colonia, and community! The Outpost #64, your weekly summary in Elite: Dangerous. The Outpost #63 proposes a full summary of these last three weeks in Elite: Dangerous. News, Lore, Powerplay, and Community! The Outpost #62 proposes a full summary of this week in Elite: Dangerous. Bêta 2.3, features, gameplay changes, and community! The Outpost #61 proposes a full summary of this week in Elite: Dangerous. Beta 2.3, mysterious sites, development, and community! The Outpost #60 proposes a full summary of this week in Elite: Dangerous. 2.3, Multicrew, Holo-Me, Ancient Sites, and Community!